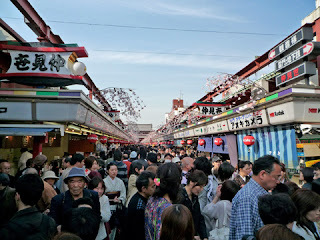 Asakusa (浅草) is one of major tourism spots in Tokyo for the icon temple Senso- ji (浅草寺) and Kaminari-mon (雷門). 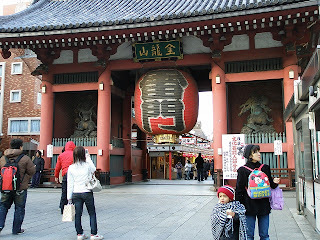 The Kaminarimon (Thunder Gate) is the symbol of Asakusa. It leads to the Sensoji Temple. This "Kaminarimon" means "the gate of thunder", which is drawn on the Chinese lantern. You'd find how big this lantern is. In Edo era, lots of Japanese people pass through this gate to come to Senso-ji Shrine to pray for their health, happiness or something else. Once you pass the gate, you'll find the road full of typical souvenirs like yukata and kimono (japanese traditional robe), folding fans, colorful traditional umbrellas,japanese swords (katana) and various snack. Here let me introduce some of Asakusa's popular local snacks. 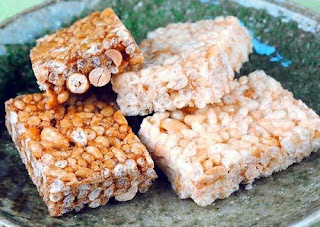 Agemanjyu（揚げまんじゅう）ー　fried cakes with a filling of red bean paste. Ningyo yaki（人形焼き）ー　a small snack cake and is made by cooking batter of flour, eggs and sugar in an iron mold. 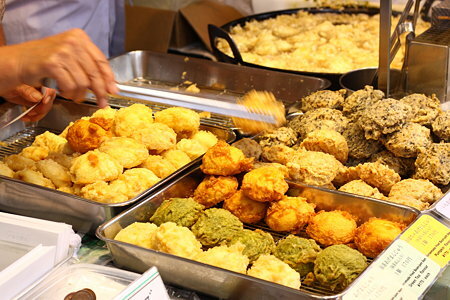 and these colorful rantans are one of most popular souvenirs in Asakusa. 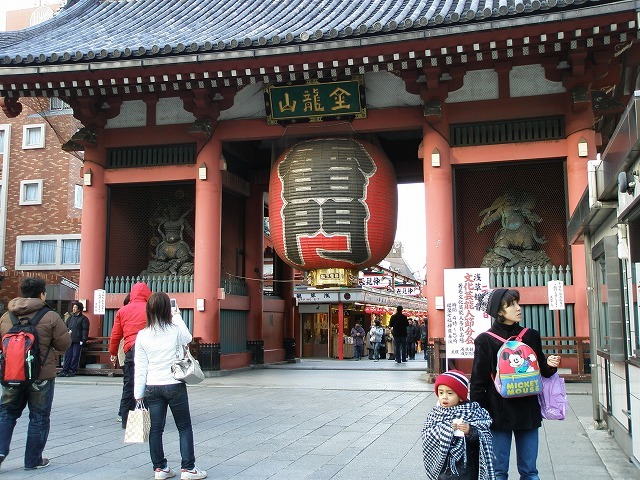 Passing hundreds of shops, you'll finally see the Senso-ji（浅草寺）. The smoke in front of Senso-ji Temple in Asakusa is believed to have a healing power, so visitors to Senso-ji temple wave incense smoke over themselves from an urn to ward off poor health, and to fix and cure ailments. Asakusa is very interesting, you should definitely make a visit!